American Cruise Lines has announced the name for the first ship in its Modern Riverboat Series: American Song. The unique ship will be wider, faster, quieter, and more environmentally friendly than any other ship in the industry. 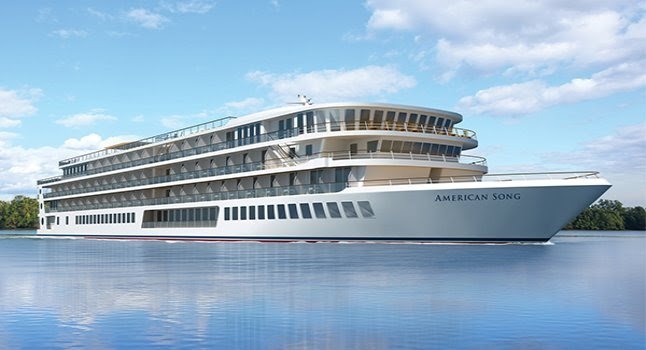 American Song is slated to take her first passengers down the Mississippi River in fall 2018, followed by Columbia and Snake River itineraries in 2019. Regent Seven Seas Cruises has announced the name of its newest ship: Seven Seas Splendor. 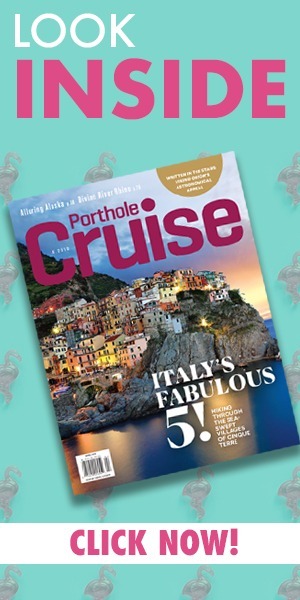 The all-suite sister to ultra-luxurious Seven Seas Explorer was named after a sweepstakes attracted more than 14,000 entries offering 2,600 unique names. She is expected in 2020. Port Canaveral, near Orlando, Florida, announced a record-breaking number of cruise guests in 2017. The cruise port closest to Walt Disney World logged more than 4.5 million cruise-passengers in 2017, outpacing numbers set in 2016. 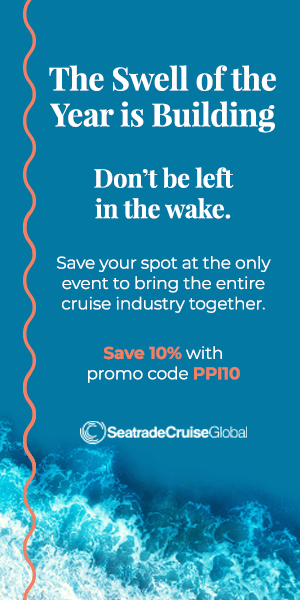 Port Canaveral is the second busiest cruise port in the world, according to Cruise Lines International Association (CLIA). Three gifted bartenders have been named finalists in the Bacardi Legacy Global Cruise Cocktail Competition 2018: Celebrity’s Andrej Malic, Royal Caribbean’s Shekar Grover, and Carnival’s Dayonel Dueñas Gomez. They’ll spend three months promoting their cocktails – made using Bacardi Ocho Años or Carta Blanca rum – before going head-to-head at the finals in Miami in February 2018. The winner goes on to Mexico City in April for the global Legacy Cocktail Competition finals. 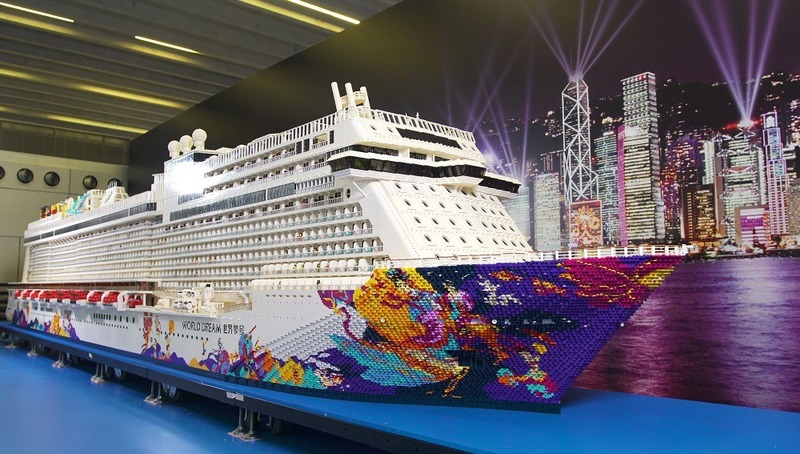 Asian luxury line Dream Cruises created a record-breaking LEGO replica to celebrate World Dream becoming the first cruise ship to be christened in Hong Kong. The giant model was built by over 1,000 passengers, members of the public, and the LEGO-certified team of Andy Hung and Legend Creative. It took 2.5 million bricks, weighs 6,160 pounds, and will be displayed at Hall B, 2/F of Kai Tak Cruise Terminal.